IBM May Have Just Discovered How To Prevent ALL Viral Infections. EVER. Researchers at IBM and the Institute of Bioengineering and Nanotechnology (IBN) in Singapore have created a macromolecule – one giant molecule made of smaller subunits – that might treat multiple types of viruses and prevent infection. 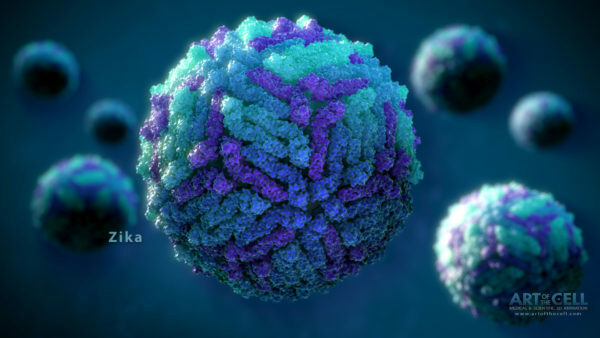 According to a paper published in Macromolecules, The Macromolecule warded off viruses such as influenza, dengue and Ebola successfully in a lab environment. Importantly, the macromolecule remained effective even after the viruses mutated. Researchers plan to test the Zika virus next, and they believe its similarities to a form of dengue already tested will result in yet another successful trial. Until now, scientists were unable to create a single weapon against all viruses simply because RNA and DNA mutate from virus to virus. However, The Macromolecule attacks viruses in a novel way. The Macromolecule first attracts viruses to itself using electrostatic charges. Then, once the virus is in proximity, the macromolecule attaches itself to the virus, rendering the virus incapable of attaching itself to healthy cells. Finally, the macromolecule neutralizes the virus’s acidity levels, which stops the virus from replicating. This may just be the start of a revolution in dealing with viruses. In a couple of years we may actually laugh at the fact that once we were vulnerable to getting a viral infection. None the less, this is a discovery that needs a lot more tests, experiments and research. However, the science team is on the right way.